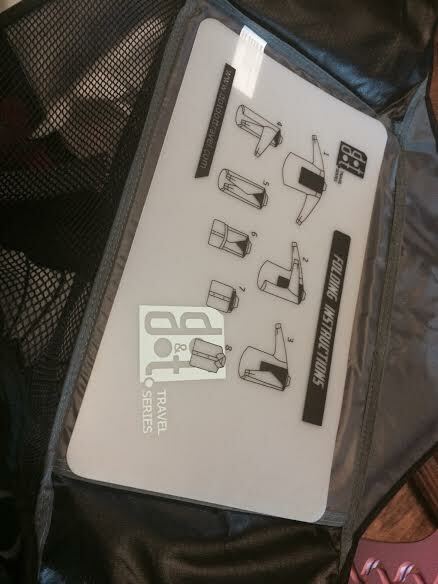 I just recently got the Dot & Dot 15′ packing organizer/folder/envelope and I love it. It’s a large envelope that looks just like a vinyl briefcase. You can store 7 shirts or pants in it. 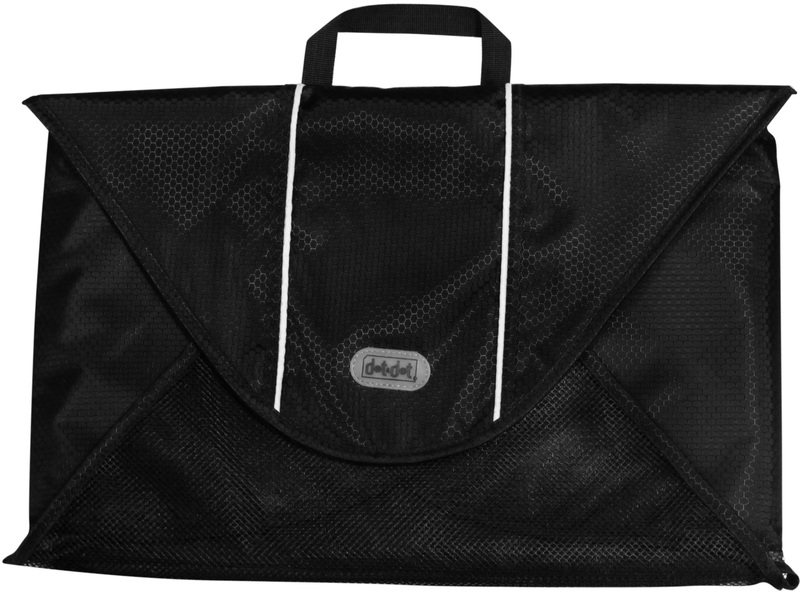 It folds up and contains everything in a nice neat concealed bag. The handles are nice and sturdy and makes it really easy to carry and use. When it is all unfolded it flattens out and makes a large surface to fold and organize your clothing. I also love that it includes a shirt folder board and instructions on how to fold them nice and neat like they do in the department store! It’s made of great quality material so you you don’t have to worry about it falling apart or tearing either! Love it! It is available on Amazon! Visit them online too! 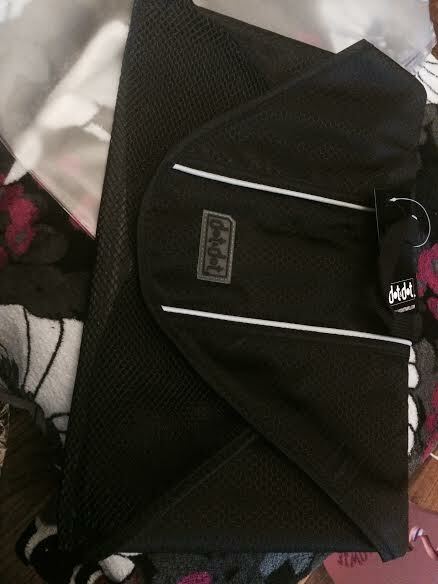 I just recently got the Dot & Dot 18′ packing organizer/folder/envelope and I love it. It’s a large envelope that looks just like a vinyl briefcase. You can store 8-12 shirts or pants in it. 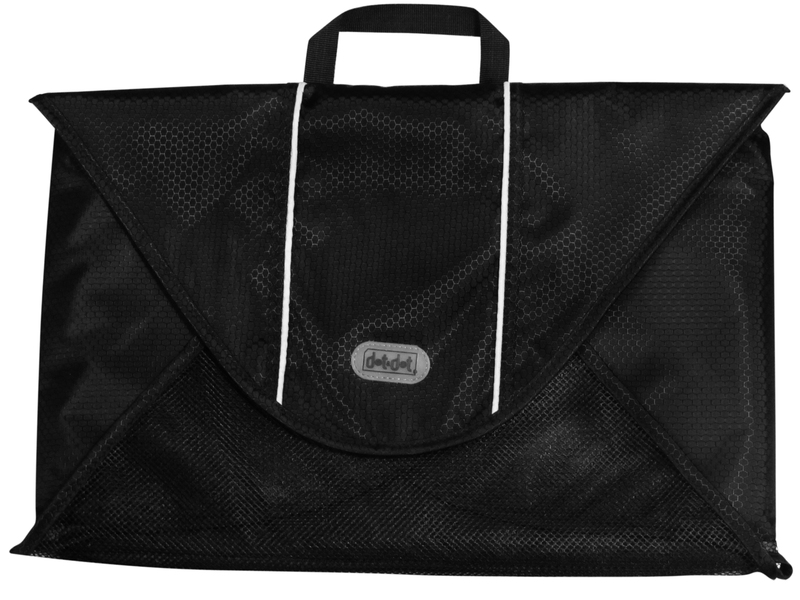 It folds up and contains everything in a nice neat concealed bag. The handles are nice and sturdy and makes it really easy to carry and use. When it is all unfolded it flattens out and makes a large surface to fold and organize your clothing. I also love that it includes a shirt folder board and instructions on how to fold them nice and neat like they do in the department store! It’s made of great quality material so you you don’t have to worry about it falling apart or tearing either! Love it!